All of the words that appeared twice or more in the focus group post’s comments section. Using remnant impressions on Gizmodo and Lifehacker, Studio@Gawker tested a new way of generating user comments about a particular type of product or service, that could later be used in brand advertising for one or more partners. This pilot experiment asked readers in the headline what their “desert-island streaming device” would be, and why. In the post itself, we went into further detail, and disclosed that any comments might be used in future partner posts. Live on Gizmodo and Lifehacker for two weeks, the post generated 12.4K page views and more than 50 comments. The comments were nuanced and detailed, if a bit technical (considering the commenters’ GMG homepage entry points into the post, this is perhaps unsurprising). No one expressed anything negative RE: the sponsored nature of the post, or the disclaimer that we might use comments in future partner posts. Readers are willing to comment on posts such as these, but it might take a lot of impressions to generate critical mass. Though it’s possible that the topic was uninteresting or the headline/splash not adequately compelling, the post only achieved a low clickthrough rate from the homepages: 0.18% from Lifehacker and 0.21% from Gizmodo. We should think carefully about what kind of comments we want X focus group post to generate. Fairly esoteric, bloodless comments were the order of the day here. If we wanted to create more passionate, show-specific comments, perhaps we should have run this post on Gawker and Jezebel. This is a good way to learn about readers’ habits and affinities, which we can later use in pitch materials for particular brands — though I’m not sure any of these comments would readily lend themselves to being adapted into native or banner advertising per se. Deciding exactly what we plan to do with these comments might better shape the language of the disclaimer (not to mention the thrust/angle of the post itself), and possibly encourage more engagement. For example, if we only plan to use these comments for research purposes, and never to deploy them in actual advertising, then maybe we could eliminate the disclaimer entirely — because while it’s true we received no negative comments, it’s likely that some number of people were turned off by the disclaimer and simply left the page as a result. 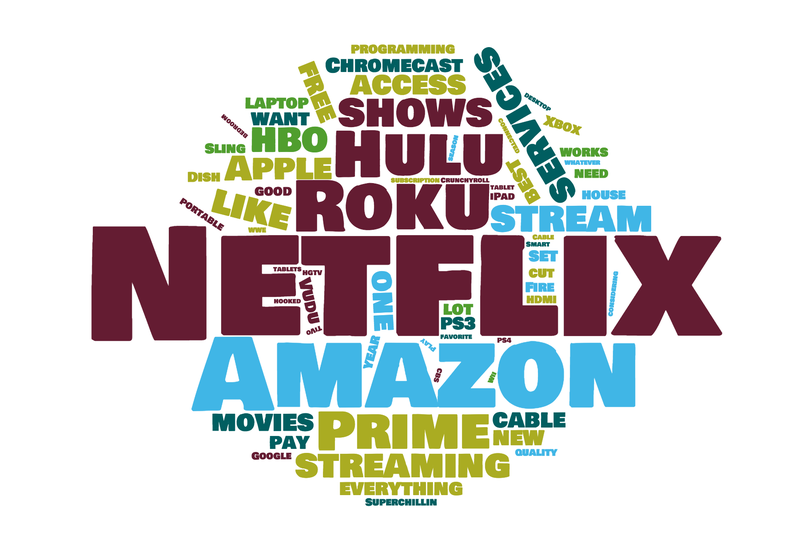 We cut the cord 1 year ago and use OTA broadcast and SlingTV, Hulu, Netflix, and Amazon. My wife wanted to be able to integrate them into a single DVR-like list, so we use a TiVo Roamio, which is simple to use and aggregates all of our shows. Now when a new episode comes out, it appears in the list and we select it and it plays through which ever service has it for free. Sometimes we have to buy a season of a show if it isn’t available for free, but it’s still cheaper than what TWC was charging us in NYC. I have Netflix and Amazon Prime, along with Dish. What I need to look into is how to be a cord-cutter and still get CNN and MSNBC (former journalist, still a news junkie). I also need to find out if there’s a way to integrate all these services into a single source, including the off-the-air side channels that I get through an antenna. Yes, I know how to use Google, I just haven’t made that commitment yet. My fear is that we’ll get the ala carte options a lot of us have hoped for, but they’ll all be from separate streaming services, each with their own fee. I’m considering CBS All-Access once the new STAR TREK starts, for instance, but if that’s how we end up accessing other networks eventually, those monthly fees are going to have us paying as much for all these streaming services as we pay for cable/satellite now. Netflix for what they have. Torrents for everything else. There is no scenario where Im paying multiple providers for streaming access, and currently I like the Netflix ecosystem the best. They can figure out the licensing it requires to get me access to everything. Until that time comes, Im going with this. The quality of programming beats anything else. I can watch the Wire, Sopranos, Game of Thrones, Last Week Tonight, Real Sports, good new movies like Jurassic World (it’s on there now) and tons of other stuff. On Netflix I love Archer, Star Trek and a bunch of their original programming. If I could have both, I’d take both, but HBO GO is too good to ignore. Amazon Prime will get you some HBO programming, but then I’d have to wait 3 years to see how Game of Thrones ends and I don’t think I could do that lol. I subscribe to one at a time for six months. Right now, I’m being cheap and watching more youtube than anything. I keep amazon video because of prime. Only thing I miss is Walking Dead and other primetime AMC shows. And here’s the post itself again.